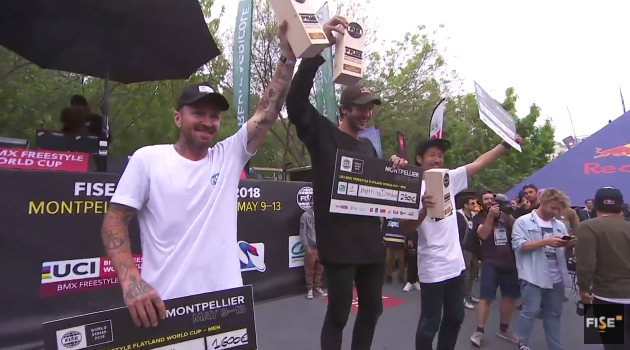 Congratulations to the contest machine, Matthias Dandois who just threw down another flawless performance at the Fise World contest in Montpelier, France rocking the house quite literally, the atmosphere was lit. Matthias was followed on the podium by Alex Jumelin and Moto Sasaki. The win also means Matthias is two wins out of two for the Fise World series.